NewTek designs and manufactures position sensors for the most challenging environments in oil & gas exploration and production. Addressing the high temperatures and extreme pressures present in drilling environments, NewTek LVDTs are constructed with special materials that ensure reliable operation in temperatures up to 400°F (204°C) and pressures to 20,000 psi (1380 bar). Hermetically-sealed LVDTs withstand exposure to a variety of corrosive chemicals. As deeper reserves are explored, Newtek LVDT technology uses exotic electrical materials, ceramics and special core materials to meet temperature requirements up to 1000°F (538°C). 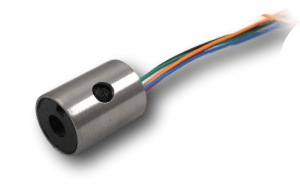 Embedded in the hydraulic systems of multi directional cutters, vented LVDT position sensors withstand a combination of high pressures, temperatures, shock, and vibration to deliver reliable position measurements.